Figure 1 Chemical structure of aflatoxins. (A) The B-type aflatoxins are characterized by a cyclopentane E-ring. These compounds have a blue fluorescence under long-wavelength ultraviolet light. (B) The G-type aflatoxins, with a green fluorescence, have a xanthone ring in place of the cyclopentane. (C) Aflatoxins of the B2 and G2 type have a saturated bis-furanyl ring. Only the bis-furan is shown. (D) Aflatoxin of the B1a and G1a type have a hydrated bis-furanyl structure. fused with substituted coumarin (Figure 1) are the most characterized class of mycotoxins (Cole and Cox 1981; Eaton and Groopman 1994). At least 16 structurally related toxins in this group are produced by A. flavus and A. parasiticus (Bhatnagar et al. 1992; 1993) and infrequently by A. pseudotamarii and A. nominus (Goto et al. 1996; Ito et al. 2001). A. ochraceoroseus has also been found to produce aflatoxins (Klich et al. 2000). The optimal temperatures and aw for the growth of A. flavus and A. parasiticus are around 35-37°C (range from 6-54°C) and 0.95 (range from 0.78-1.0), respectively; whereas for aflatoxin production, they are 28-33°C and 0.90-0.95 (0.83-0.97), respectively. Aflatoxin B1 is most toxic in this group and is one of the most potent naturally occurring carcinogens; other AFs are less toxic (B1 > G1 > B2 > G2). Other significant members of the aflatoxin family, such as M1 and M2, are metabolites of AFB1 and AFB2, respectively, and originally isolated from bovine milk [reviewed in Cary et al. (2000); Spahr et al. (1999)]. The major steps and the corresponding genes of the AFB1 biosynthesis have been elucidated [extensively reviewed in Bhatnagar et al. (2003)]. Starting with the polyketide precursor, acetate, there are at least 23 enzymatic steps in the AFB1 biosynthetic pathway. AFB2, G1, and G2 are synthesized from pathways that diverge from the B1 pathway. The genes for almost all the enzymes have been cloned and a regulatory gene (aflR) coding for a DNA-binding, Gal 4-type 47kDa protein has been shown to be required for transcriptional activation of all the structural genes. A defect in aflR expression in the koji mold A. sojae causes to turn-off the expression of AF genes that produce AF (Matsushima et al. 2001). It has also been shown by restriction mapping of cosmid and phage DNA libraries of A. flavus and A. parasiticus that all the AFB1 pathway genes are clustered within a 75-kb region of the fungal genome (Bhatnagar et al. 2003). G-protein signaling has recently been found to be involved in the biosynthesis of AF (Tag et al. 2000). Aflatoxins have been found in corn, peanuts and peanut products, cotton seeds, peppers, rice, pistachios, tree nuts (Brazil nuts, almonds, pecans), pumpkin seeds, sunflower seeds and other oil seeds, copra, spices, and dried fruits (figs, raisins), and yams [see CAST (2003) for a detailed list]. Among these products, frequent contamination with high levels of AF in peanuts, corn, and cottonseed, mostly due to infestation with fungi in the field, are of most concern. Soybeans, beans, pulses, cassava, sorghum, millet, wheat, oats, barley, and rice are resistant or only moderately susceptible to AF contamination in the field. It should be reiterated that resistance to AF contamination in the field does not guarantee that the commodities are free of AF contamination during storage. Inadequate storage conditions, such as high moisture and warm temperatures (25-30°C), can create conditions favorable for the growth of fungus and production of AF. 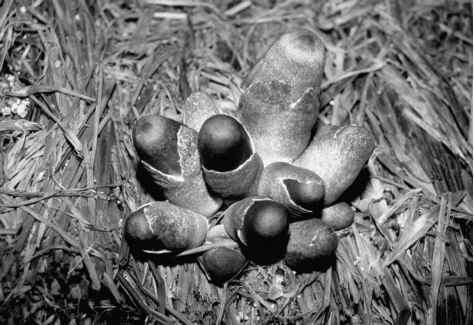 Aflatoxins are mutagenic, teratogenic, and hepatocarcino-genic in experimental animals [reviewed in Eaton and Groopman (1994)]. 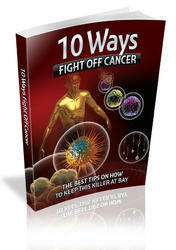 Since AFB1 is one of the most potent naturally occurring carcinogen, extensive research was primarily done on this toxin. The main target organ of AF is the liver. Typical symptoms of aflatoxicoses in animals include proliferation of the bile duct, centrilobular necrosis, and fatty infiltration of the liver, generalized hepatic lesions, and hepatomas. AFB1 also affects other organs and tissues including the lungs and the entire respiratory system. The susceptibility of animals to AFB1 varies considerably with species in the following order: rabbits (most), ducklings, mink, cats, pigs, trout, dogs, guinea pigs, sheep, monkeys, chickens, rats, mice, and hamsters (least). For the carcinogenic effects, rats, rainbow trout, monkeys, and ducks are most susceptible and mice are relatively resistant. Consumption of AFBl-contaminated feed by dairy cows results in the excretion of AFM1 in milk. AFM1, a hydroxylated metabolite of AFB1, is about 10 times less toxic than AFB1; but its presence in milk is of concern for human health (Chu 2002). Metabolism plays a key role for the toxic action of aflatoxins. AFB1 must first be activated by mixed-function oxidases to a putative short-lived AFB-8.9-exo-epoxide [reviewed in Eaton and Groopman (1994); Sinha and Bhatnagar (1998)]. This intermediate can either be converted to hydroxylated metabolites, conjugated to glutathione or glucuronic acid etc; and then be excreted, or it can bind to DNA, RNA, and protein to exert its carcinogenic, mutagenic, and toxic effects. Glutathione S-transferase serves as a key enzyme in the detoxification process for AFB1. Formation of AF dialdehyde by aldo-keto reductases and subsequent reaction with proteins also plays a role against AFB1 toxicity (Guengerich et al. 2001). Adduct formation of this intermediate with DNA occurs at the N-7 guanine position leading G-C to T-A or to A-T nucleotide substitutions, which results in defective repair and DNA damage, mutations and ultimately carcinomas in many animal species (Chu 2002; Eaton and Gallagher 1994; Wild and Hall 2000; Wogan 2000). Aflatoxin-induced G:C mutations, both G to T and G to A, have been implicated in the inactivation of human p53 tumor suppressor gene at third position of codon 249; and the identification of mutations/inactivation of p53 at this site, has been used as a biomarker for AFB-induced liver cancers in humans (Groopman et al. 1995; Harris 1996). 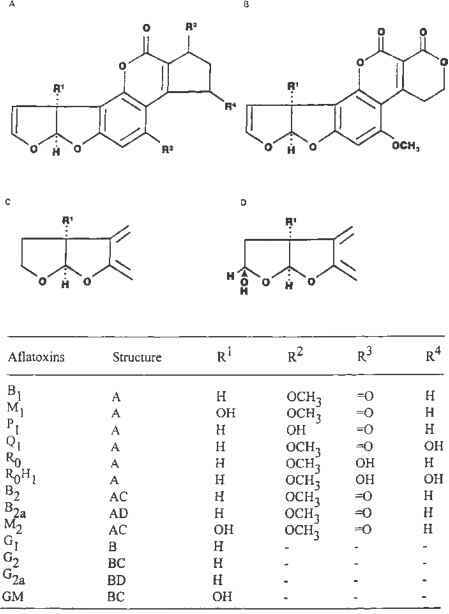 Activated AFB1 and AFG1 also formed adducts with albumin (Skipper and Tannenbaum 1990) excreted in urine, which has been used as an index of human exposure to AFs (Sabbioni and Wild 1991; Turner et al. 2000). Whereas AFB1 has been found to be a potent carcinogen in many animal species, the role of AF in carcinogenesis in humans is complicated by hepatitis B virus (HBV) infections in humans (Hsieh 1989; Wild et al. 1992). Epidemiological studies have shown a strong positive correlation between AF levels in the diet and primary hepatocellular carcinoma (PHC) incidence in some parts of the world, including certain regions of the People's Republic of China, Kenya, Mozambique, Philippines, Swaziland, Thailand, and Transkei of South Africa [reviewed in Eaton and Groopman (1994)]. Adducts of AF, i.e., AFB1-DNA and AF-albumin as well as several AF metabolites, mainly AFM1 have been detected in serum, milk, and urine of humans in these regions. However, the prevalence of HBV infection is also correlated to liver cancer incidence in these regions. Since multiple factors are important in carcinogenesis (Wogan 2000) and environmental contaminants such as AFs and other mycotoxins may, either in combination with HBV or independently, be important etiological factors. Recent data on the enhancement of mutation of p53 gene suggest the synergistic effect of these two risk factors for PHC in humans (Jackson et al. 2001; Smela et al. 2001).